Improving your health and fitness doesn’t have to be hard work. Sure, building an athletic, cover-model body is not easy. But if your objective is simply to feel a little healthier, look a little better and put a bit of a spring in your step, then you have plenty of simple options. And in fact, knowing these easy hacks to improve your wellbeing is actually crucial when it comes to getting that killer body too. Why? Because a making these changes can give you the energy and the ability you need to make the bigger changes. These are those first small steps that make everything else possible. Recent studies suggest that swapping all your drinks for water can make huge differences to your energy levels, your weight loss and even your mental focus. The reason for this is not only that you’ll be putting fewer empty calories into your body, but also that you’ll be increasing your metabolism to burn fat at a faster and more efficient rate. You can burn a huge number of additional calories by walking to and from work, or just getting off your bus a stop later. This will not only burn calories but also help you to increase your physical fitness and to improve your resting heart rate. A lower resting heart rate means that you’ll feel calmer and less stressed and will reduce your chances of developing heart disease and other serious issues. Okay, so getting into the habit of meditation isn’t easy per-say. But doing it for just five minutes a day is a much easier habit and something that there’s really no excuse not to do. And the benefits of this practice are absolutely huge… so it’s time you gave it a try! Set a timer for five minutes before you start your day and tackle the day ahead calmer, happier and more focused. 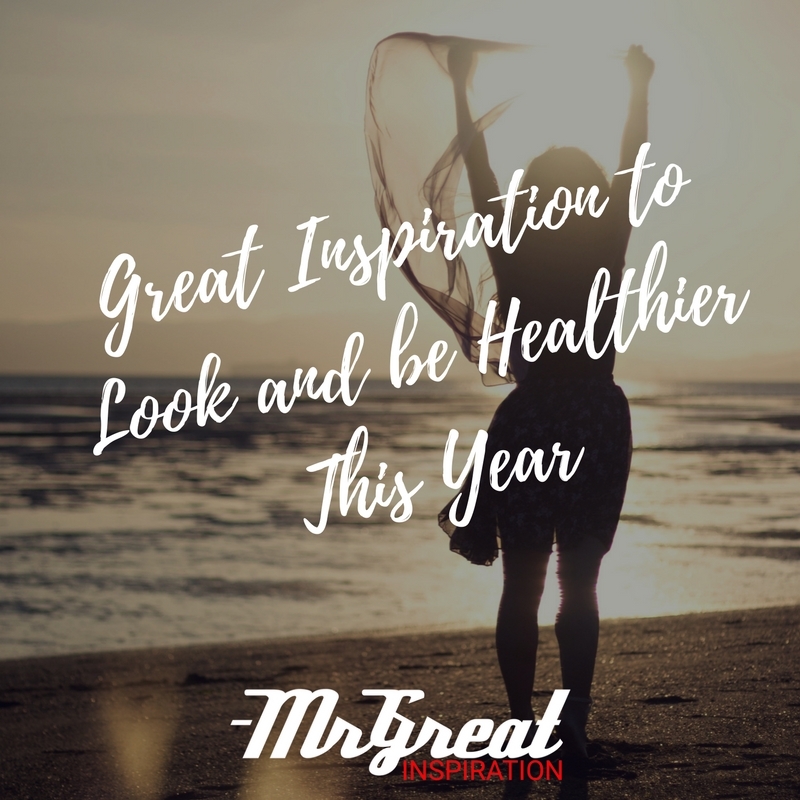 We hope guys you find our article "Great Inspiration to Look and be Healthier This Year " by Mr Great Inspiration useful.